1957-MERC, Hubcap used, 14", 57, MERCURY, PASSENGER, 16 SLOT TYPE, EMBLEM BLACK BACKGROUND WITH BLUE AND WHITE CREST, CHROME MERCURY HEAD, SNAP ON STYLE CLIP. 401c, Hubcap used, 15", 77-78, CHRYSLER, LE BARON, 16 SLOT TYPE, WITHOUT RIBS. 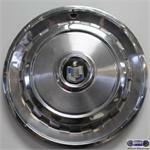 493, Hubcap used, 14", 94-95, PLYMOUTH, ACCLAIM, SUNDANCE, VOYAGER, SPARKLE SILVER, 16 SLOT TYPE, BLACK CENTER, WORD PLYMOUTH IN CENTER. PLASTIC CLIPS & WIRE RING. 5037, Used Rims, 15X6, 5 LUG, 115 MM, 94-96, CHEVY, LUMINA VAN, 16 SLOT, DARK PAINTED POCKETS, MACHINED, ALLOY. 5992, Hubcap used, 14", 65, PONTIAC, BONNEVILLE, CATALINA, PARISIENNE, STAR CHIEF, VENTURA, 16 SLOT TYPE, POLISHED OUTER RING, SILVER PAINTED POCKETS, RAISED CENTER, BLACK PAINTED RING WITH WORDS PONTIAC MOTOR DIVISION, BRUSHED SMALL CONE, METAL CLIPS. 653, Hubcap used, 14", 68, FORD, MUSTANG, 16 SLOT TYPE, RED CENTER. 7010, Used Rims, 15X6, 4 LUG, 100 MM, 98-99, SATURN, S SERIES, 16 SLOT, MACHINED FACE, SILVER POCKETS, ALLOY. 825, Hubcap, 14", 83-84, FORD, THUNDERBIRD, 16 SLOT TYPE. 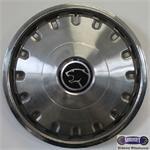 835, Hubcap used, 14", 83-86, MERCURY, COUGAR, CHROME OUT RING WITH MACHINED CENTER & BLACK & CHROME LOGO, 16 SLOT TYPE GRAY POCKETS, METAL CLIPS..
851, HUBCAP USED, 14", 86-88, FORD, TAURUS, SILVER, 16 SLOT TYPE. RAISED WORD FORD, PLASTIC CLIPS & WIRE RING. 851, HUBCAP USED, 14", 86-88, FORD, TAURUS, SILVER, 16 SLOT TYPE. RAISED WORD FORD IN CENTER, PLASTIC CLIPS & WIRE RING. 904, HUBCAP USED, 14", 92-95, FORD, TAURUS, PAINTED SILVER, ETCHED TAURUS LOGO,16 SLOTS, PLASTIC CLIPS & WIRE RING. 904, HUBCAP USED, 14", 92-95, FORD, TAURUS, PAINTED SILVER WITH ETCHED TAURUS LOGO IN CENTER, 16 SLOTS. PLASTIC CLIPS & WIRE RING. 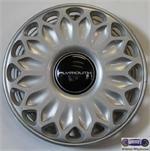 908, HUBCAP USED, 14", 92-94, MERCURY, TRACER, SPARKLE SILVER, 16 SLOT TYPE. ENGRAVED LOGO IN CENTER, PLASTIC CLIP & WIRE RING. 932, HUBCAP USED, 13", 85-89, MERCURY, TOPAZ, 16 SLOT TYPE.